Zuri brings to you 10 best beauty tips to follow before and post Holi. Now, tackle your skin and hair problems at once by following some easy tips and tricks. Who doesn’t like the festivity that goes around Holi? 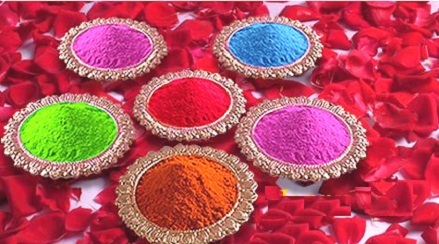 The Holi parties, faces smeared with gulal, gulping down glasses of bhaang one after the other, relishing the Holi delicacies and spirits soaring high. But it’s post all this hullabaloo that we realize what a beating our skin and hair have taken. Frizzy hair, acne, rashes, cracks in the skin, the list is endless. So this Holi, Zuri brings to you 10 best beauty tips to follow before and after playing Holi to get rid of these problems. Follow these tips and all you need to focus on, is making merry. 1. Mix together a tablespoon each of olive oil, coconut oil, and castor oil and apply it to your skin an hour before stepping out to play Holi. Don’t forget to apply it to your neck, ears, arms and any other exposed area that could come in touch with color. Oil helps the color to come off quickly later on when you’re through with playing Holi. 2. Prolonged exposure to sun along with chemical based colors can have a detrimental effect on your skin. After applying the oil, apply a thick layer of waterproof sunscreen on your face and neck. But, as a rule, try wearing clothes that provide maximum skin coverage to minimise the extent of direct exposure to sun and gulal. 3. Massage your hair with a mixture of jojoba and coconut oil, a night before Holi. The oil not only forms a protective layer and prevents any color or dirt from settling into the hair cuticle but also helps the color to come off easily. 4. Never keep your hair open while playing Holi. Tie them up into a neat bun or a braid to minimise exposure to colors. Even better, cover your head with a bandana. This will make you look trendy while providing maximum coverage to your hair. 5. 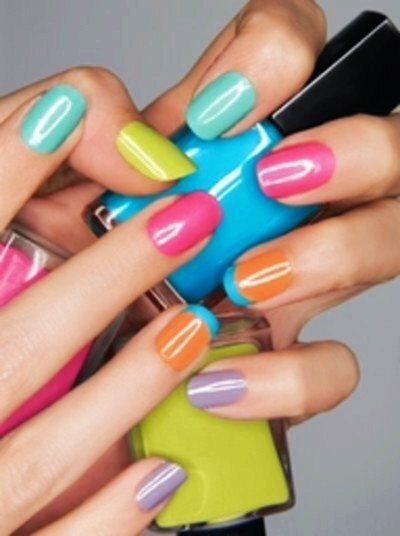 Protect your nails from the adverse effects of harsh colors and chemicals by painting them into bright hues. Choose vibrant colors to go in perfect tandem with the mood of the festival. 6. Apply a layer of Vaseline or soak your fingers into a mixture of coconut and castor oil before heading to play Holi to keep the color from penetrating into your cuticles. 7. Apply a moisturizing lip balm or a thick layer of gloss to your lips to shield them from any damage and providing hydration at the same time. 1. Use a cream based cleanser to get rid of the color from your face. Alternatively, you can also go for a homemade scrub made with milk and besan(gram flour). Use this scrub on your face, lips, hands, feet or any other affected areas with gentle circular motion and rinse off with lukewarm water. But refrain from excessive scrubbing, as this could damage your skin further. 2. In case your skin has broken into a rash or allergy, use calamine lotion or aloe vera gel on the affected area. Moisturise your skin well in the days to come to keep it hydrated and bring it back in shape. 3. Rinse your hair with plenty of plain water to wash off any color from it. Now use a mild shampoo followed by deep conditioning. Don’t forget to follow a good hair care regimen for the next few days. 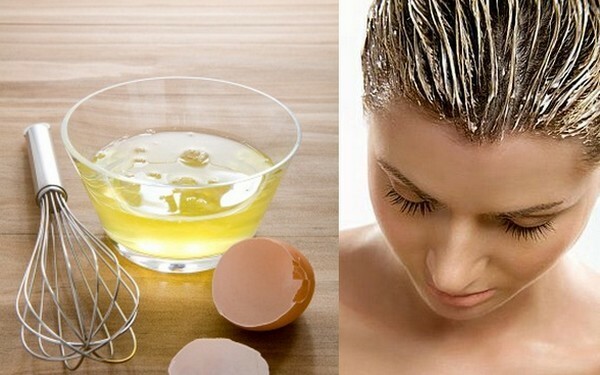 Go for a hair spa or maybe a homemade hair mask made with egg yolk and almond oil to restore damage and add shine and body to your hair.